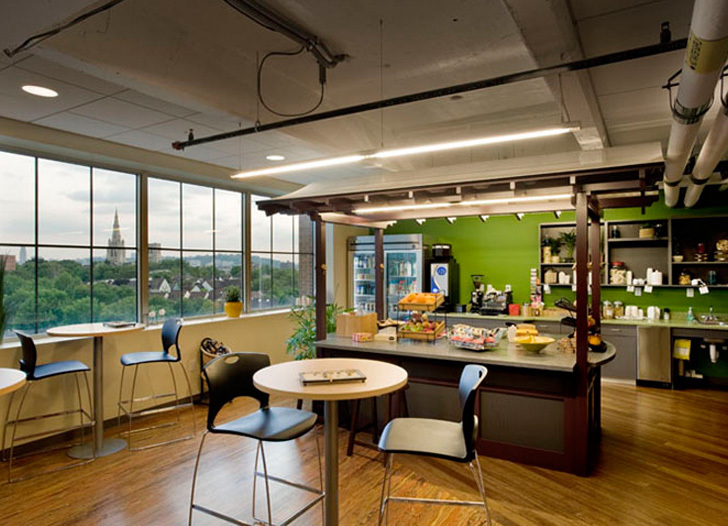 What’s the perfect recipe for an amazing workspace? 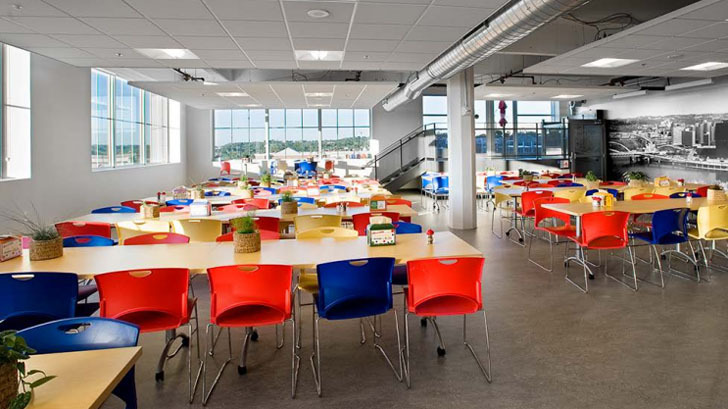 Start with a 45,000 square-foot former Nabisco Factory in <a href="https://inhabitat.com/index.php?s=pittsburgh" target="_blank">Pittsburgh</a>. 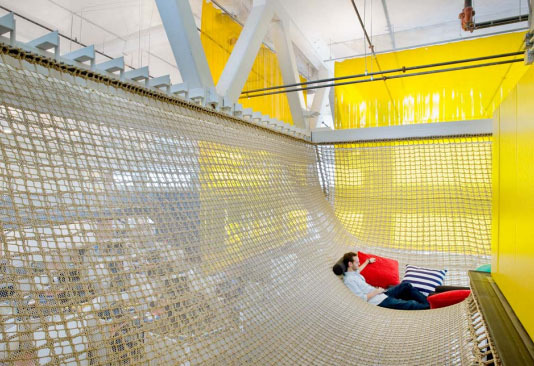 Give the employees a 4-day live-in session to amass likes, dislikes and determine their “ideal” workspace, and mixed them all together... That’s how <a href="http://www.google.com/about/company/" target="_blank">Google</a> does it, at least. 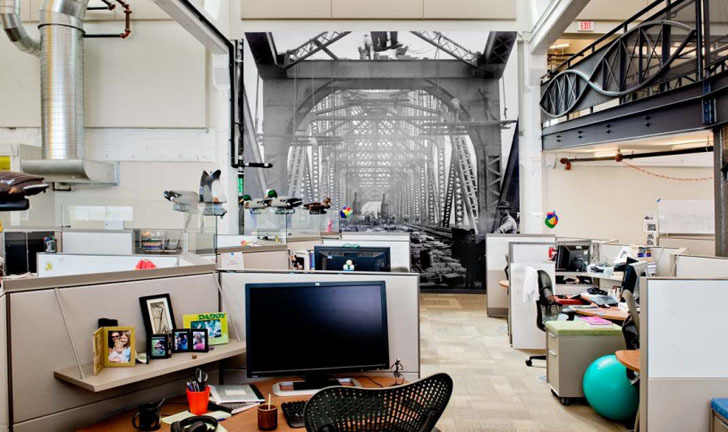 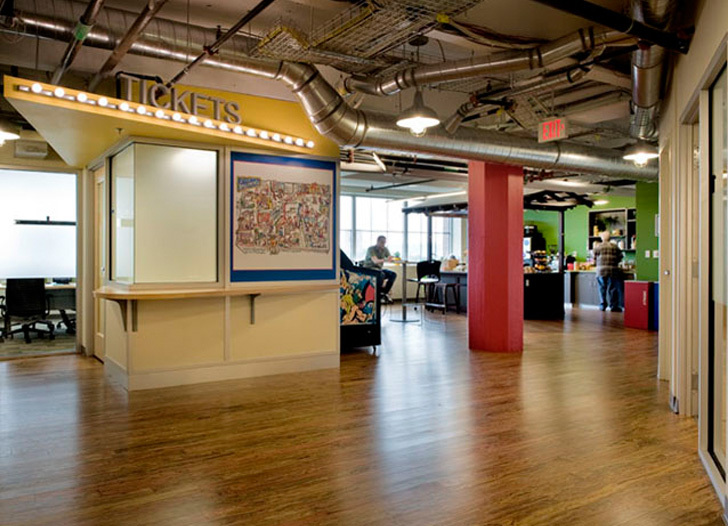 Like all Google offices, the adaptive-reuse project, which is seeking LEED Gold certification, features several playful touches, and it also does a good job referencing Pittsburgh's industrial history. 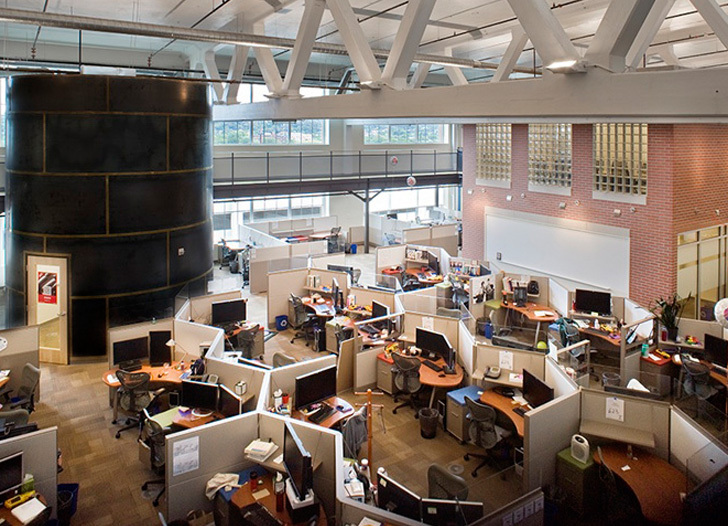 Google Pittsburgh’s adaptive reuse space, designed by the local architecture firm <a href="http://www.stradallc.com/" target="_blank">Strada</a>, maintains not only the industrial bones of the original factory building, but also works to implement city wide-themes. 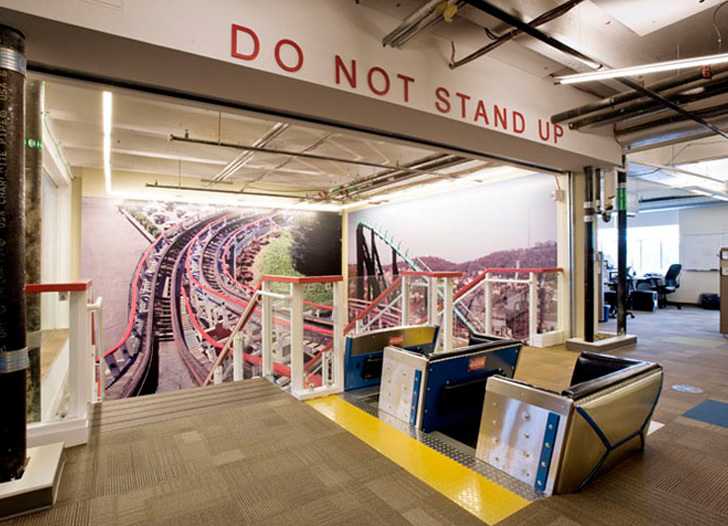 According to Strada, some of the interior design elements are based on an homage to <a href="http://www.kennywood.com/" target="_blank">Kennywood</a> Amusement Park, a popular Pittsburgh theme park. 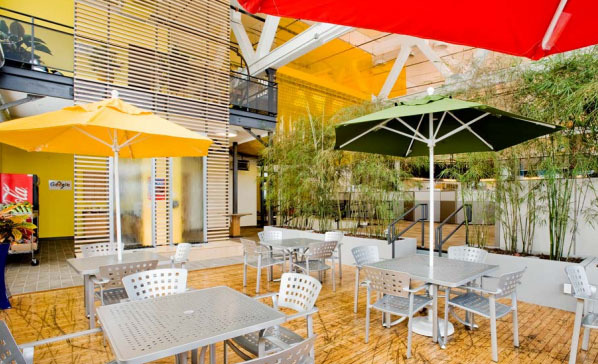 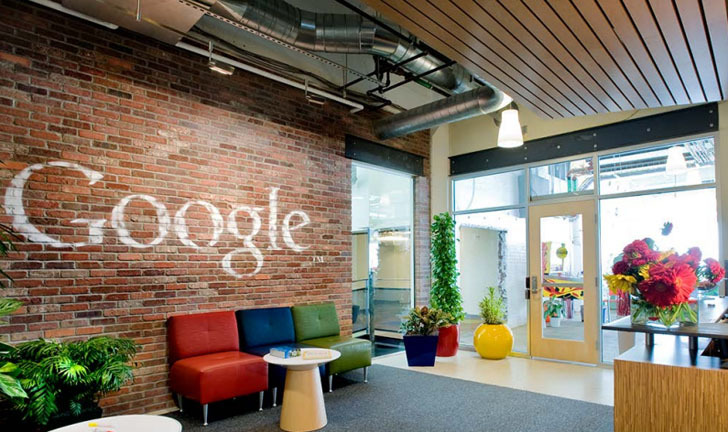 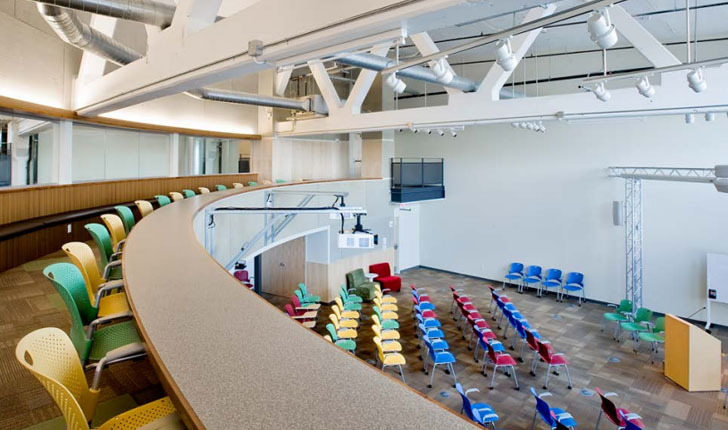 Google’s sustainability efforts went above and beyond their original adaptive reuse—the space is pending <a href="http://www.usgbc.org/DisplayPage.aspx?CategoryID=19" target="_blank">LEED</a> gold certification and much of the original building materials were reused during construction.